Seeing as the Stanley Cup Playoffs are well underway, I’ve been meaning to write a piece on some unorthodox hockey news. While I was watching the Detroit and Tampa Bay game, the combination of beer and hockey made me think of the Trailer Park Boys. From there, I started laughing at the thought of an extremely intoxicated Jim Lahey trying to operate a Zamboni. 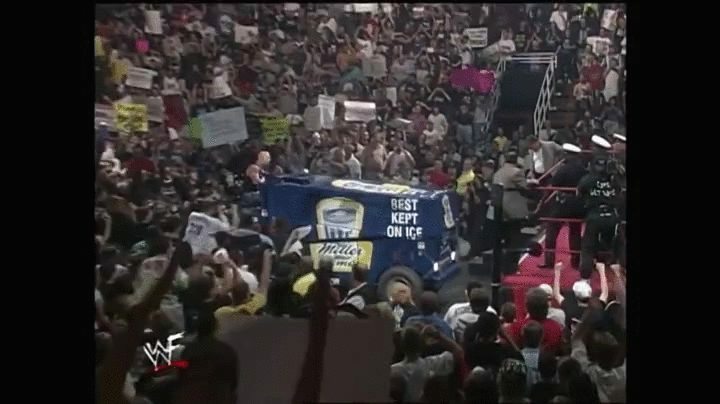 The mental imagery of Lahey swerving around the ice and crashing into the boards enticed me to Google the words ‘Zamboni driver DUI’. Fortunately, Google did not disappoint and I was able to stumble across two separate incidents that involved both booze and Zamboni drivers. Believe it or not, the latest incident happened quite recently (January 30, 2015). Apparently, some guy from Fargo, ND was busted for DUI during a high school girls’ hockey game. After spectators witnessed the Zamboni operator driving erratically/crashing into the boards, some parents decided enough was enough and called the cops. Shortly after the police arrived to the arena, the resurfacing machine driver was arrested for DUI. Even though a replacement driver couldn’t be located, the ladies were able to finish their game on rough ice. I don’t say this often, but I would have loved to been at that girls’ hockey game. The second incident happened exactly three years prior at a pee-wee hockey game in Apple Valley, MN (January 30, 2012). To make matters worse, this Zamboni driver blew a 0.32. That’s literally four times over Minnesota’s legal limit. For those of you who aren’t familiar with USA Hockey Age Classifications, the pee-wee division is for kids ages 11-12. Now, for those of you who aren’t familiar with Hockey parents, they’re damn near insane. On that note, if you’re gonna get piss drunk and crash a Zamboni while resurfacing the ice for a pee-wee hockey game, you’re gonna have a bad time. Sure enough, the hammered Zamboni driver from Apple Valley picked up his fourth DUI from his drunken hockey game escapades.